One of the 6 new fire hydrants on Buckhorn Ridge, part of a water main improvement project in Pioneer. The project connects the water tank on Deadwood Court to homes on Carson Drive. It will increase fire hydrant flows and help eliminate periods of low water pressure in homes and at Pioneer Elementary School during use of the hydrants. The construction is fully paid for by a Community Development Block Grant to Amador County. 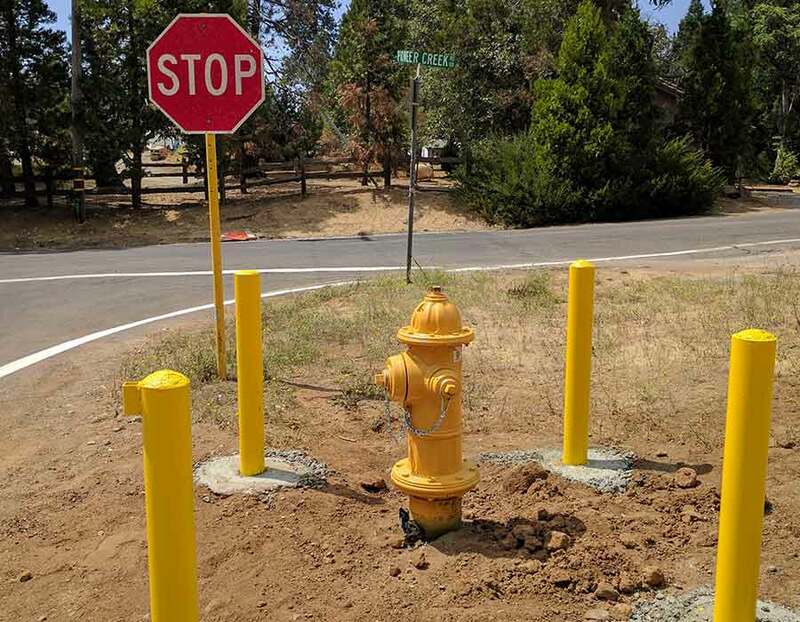 Amador County Supervisors partnered with AWA in receiving a $1.42 million grant to upgrade water mains in the area, improving water pressure for homes, correcting a health hazard, and increasing water supply for fire fighting.